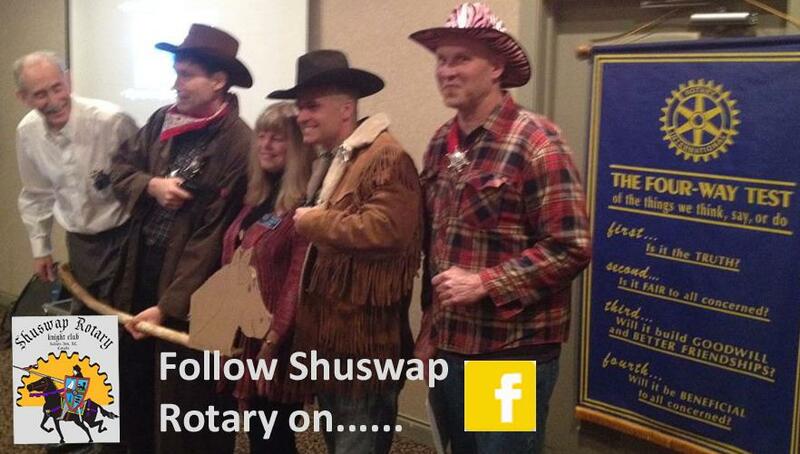 Shuswap Rotary and many private donor sponsors support secondary education for 20 students in Kenya. Shown above are 15 of our students with a teacher from Barani Primary School. 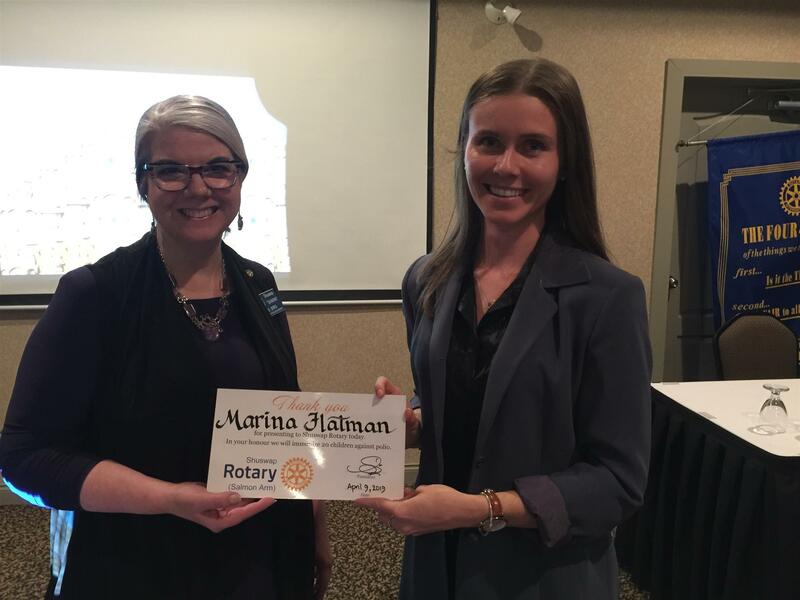 Marina Flatman spoke on April 9 about her 2-month placement as an occupational therapist in India. Her cultural understanding and stories about her experiences were very interesting. Marina (right) is shown here with club president, Shawn Bird. 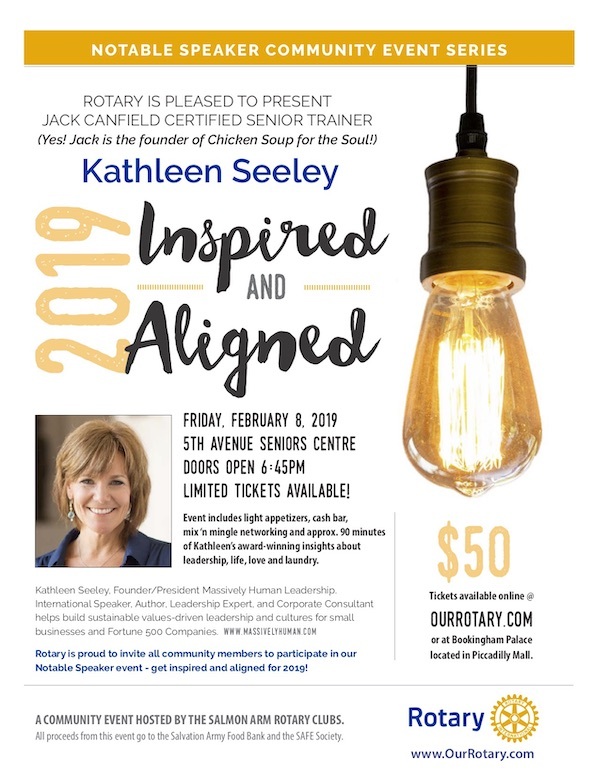 For more information about previous speakers, click "Read More" below. Brain Bikes are child-sized exercise bikes. Very sturdy and amazingly quiet, they are used in classrooms, and managed by teachers so they are not a disruption. Their purpose is to give children a short brain break with exercise. This helps students develop the habit of using exercise as a means of self-regulation, an essential life skill. Three Rotarians are shown with students from Ranchero Elementary who are demonstrating how brain bikes are used. 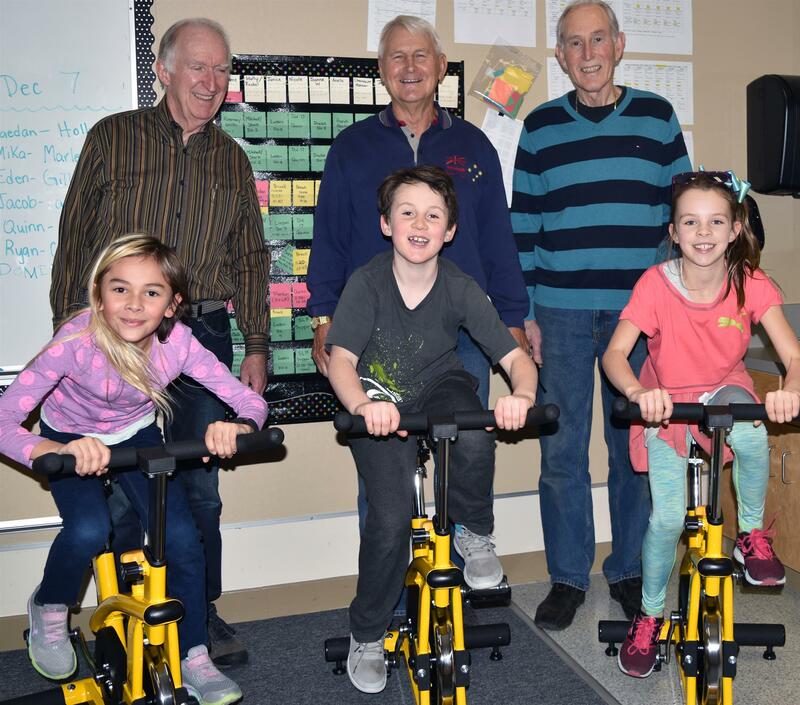 Rotarians are Dave Woolliams, Fred Good man and John Hansen (left to right) Brain bikes are used by students for short exercise intervals that are improve learning and self-regulation. ALSO - see the Brain Bikes Photo Album in the right column of this webpage. Our new exchange student, Guillermo Hernandez arrived safely Thursday night (August 23) from Alicanté, Spain. He is a charming boy and it’s been a pleasure getting to know him. 15 years old with a birthday on Dec 28th. He will be attending SASS in grade 11. His English is fairly good and he likes to eat anything. He plays the drums & piano. He rows back at home and likes soccer & basketball. 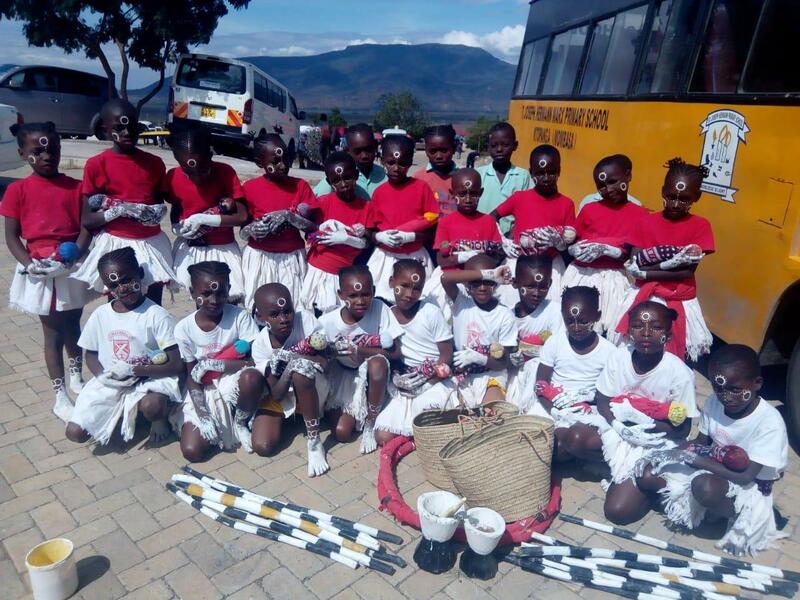 At Barani Primary School in Kenya 24 girls, aged 7 to 9, have been singing and dancing their way through various levels of school music festival competitions and winning each to reach the National finals in August 2018. As part of their school music program they learn to perform tribal based songs which include dancing and acting out traditional stories. These girls, who have never travelled farther than they can walk from their simple mud homes near the city of Mombasa, now find themselves travelling 700 km with 2 teachers to compete in the country’s top educational music festival. In a country where most families and schools do not have funds to pay for travel and costumes, these girls received financial assistance from generous individual Rotarians and Friends of Rotary which made going to Regional finals and National finals possible. These young girls, through their winning performances, are gaining confidence, self respect and self esteem which are foundations for future leaders in Kenya, one of the aims of Shuswap Rotary through its Kenyan projects. 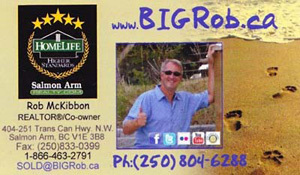 Shuswap Rotary provides 550 lunches daily for needy students at Barani Primary School. It also sponsors 20 students to complete Grades 9 to 12 in a country where there is no government funding of secondary schools. 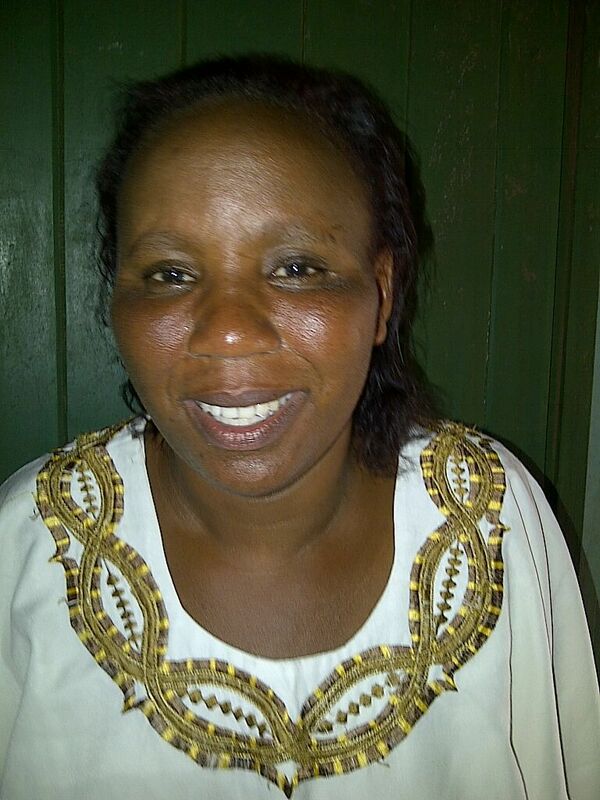 With deep sadness, Shuswap Rotary regrets the passing of Madame Alice Mugwe, teacher at Barani Primary School at Mtwapa, Kenya. She passed suddenly on Monday, May 7, 2018. 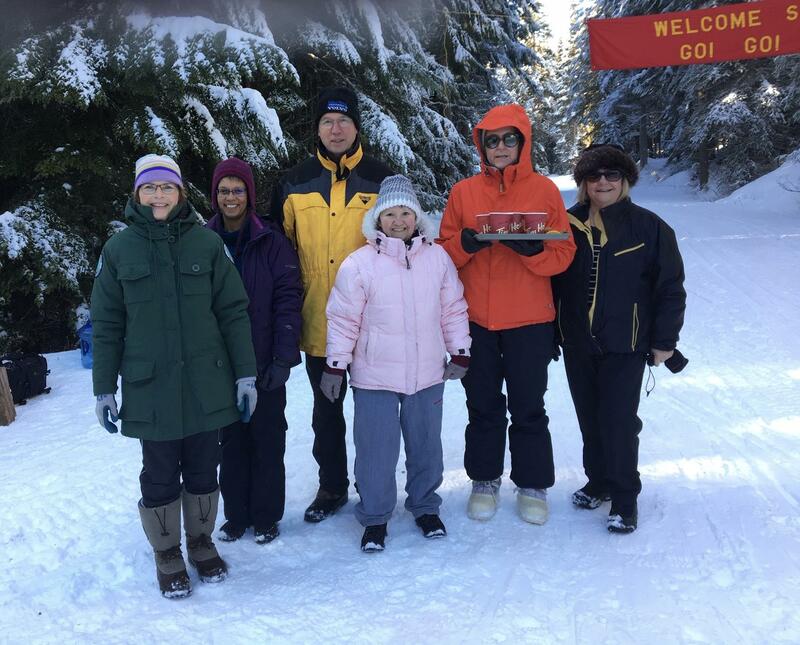 Mme Alice will be remembered for her warm heart, her love for the students of Barani Primary, and for her amazing coordination of the Shuswap Rotary food program that fed 550 students daily. as its newest member. MJ formerly the President of the Merritt Rotary Club came to our club after relocating to Enderby BC. MJ is jumping in to club activities, having recently participated in the Salmon Arm Tri-Club Food Drive and participating on our newly formed Social Committee.